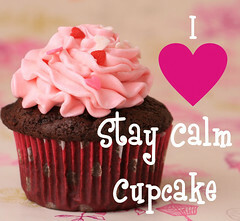 peanut butter | Stay Calm, Have A Cupcake! Happy June 9th! I turn 24 today and can’t help but be thankful for the wonderfully blessed past year I have had. What better way to celebrate than to share this occasion with my amazing blog readers, facebook fans, twitter followers, and cupcake enthusiasts! Enjoy this collection of great recipes that I have found through my blog friends over the past year. Each is a sweet treat that I know will be a hit if you decide to make it. Thank God it is Friday!!! I need the weekend like you wouldn’t believe. So excited to see these in my mailbox!! Huge portions! I got 6 Marshmallows and each square was at least an inch thick and an in wide. It was massive – perfect size for a quick little sweet treat! Delicious! I had never tried homemade flavored marshmallows before. Let me tell you – it was a bite of heaven on earth! 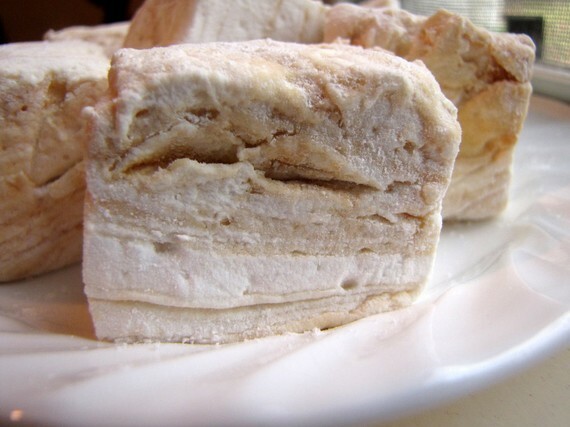 So fluffy, and the swirls of peanut butter made it so much more than a regular marshmallow. These are not Jet-Puffs, I’ll tell you that. My boyfriend had one, or two, and absolutely loved them too. I have a couple left in my fridge because I plan on dicing them up and using them as toppers on my chocolate peanut butter cupcakes. Don’t you think that will be so cute and yummy!! 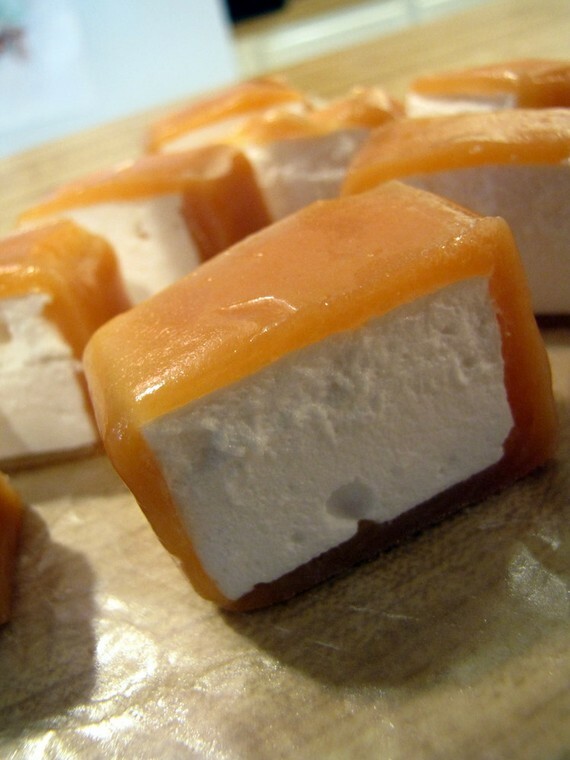 Who wouldn't love caramel filled w/ Marshmallow? I am so happy to announce that Softly Sweetly is offering you guys an awesome coupon code! Use code CUPPYCAKE10 for 10% off her already incredible prices! Stop over at Softly Sweetly and get your sweet fix for the weekend. Stay Sweet! 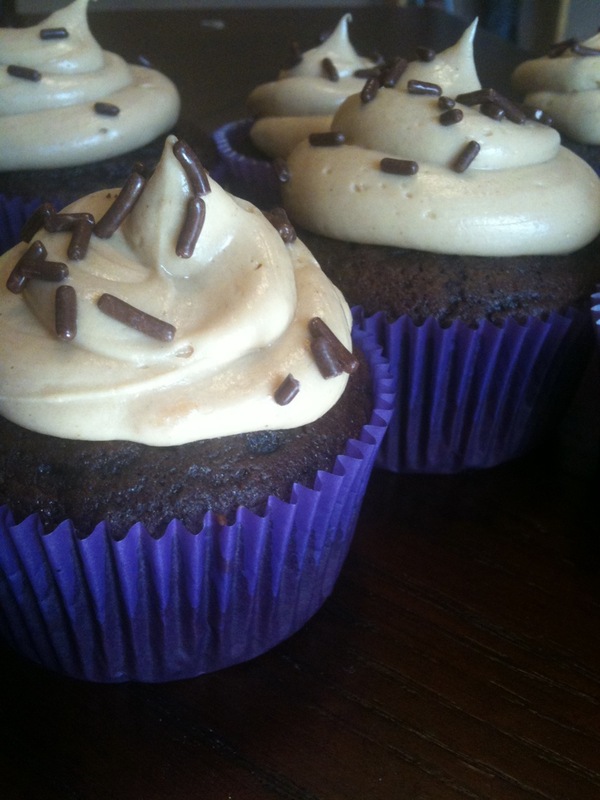 Martha Stewart’s peanut butter frosting is good, but with some of my own additions, it is irresistable!! Sorry Martha 😉 Peanut Butter is a great fall flavor that is easy to incorporate into any chocolate dessert. 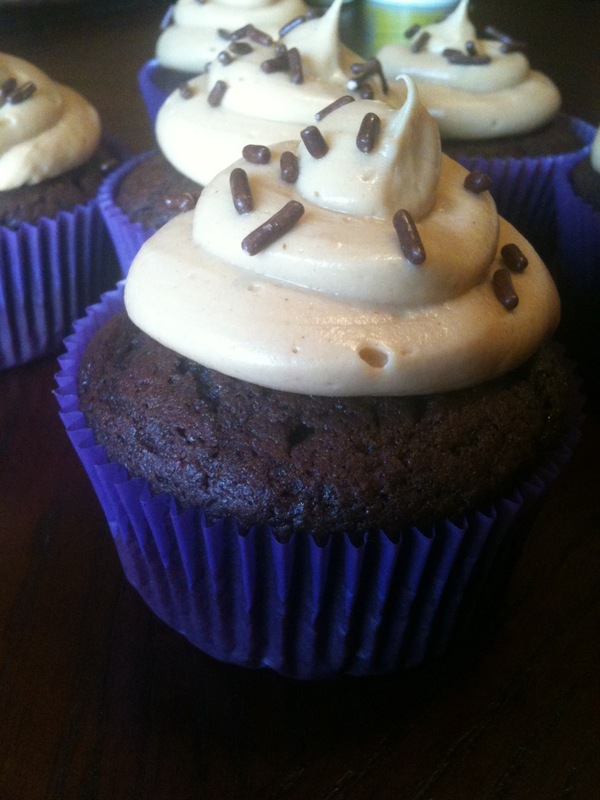 I used this frosting on a devils food cake cupcake (say that 3 times fast!). In all honesty though, this frosting would compliment a huge variety of cupcakes including, dark chocolate, vanilla, chocolate fudge, white cake, french vanilla, and banna nut. Add the Cool Whip and lightly incorprate. In a seperate bowl, Whisk cream until soft peaks form. On low speed, whisk the cream into the peanut mixture until well combined. Very rarely do I bake something and the end product looks like the picture on the recipe. This recipe however was so easy, that my muffins look just as good as the ones in the recipe picture. Better yet, they taste fabulous!! 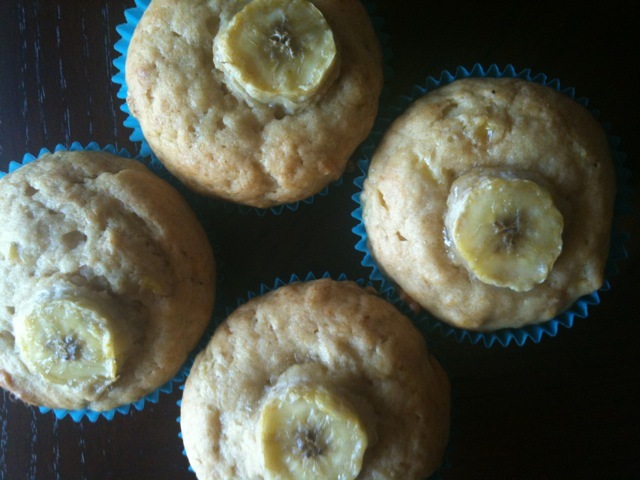 Once again, I found myself with over-ripe bananas and some free time – so what better thing to do than bake! The muffin is so moist and has the perfect balance of peanut-butter to banana. I might even add some chocolate chips to the batter next time. Hope you enjoy the recipe as much as I’m enjoying this muffin right now!! Preheat over to 350F. Grease muffin tin or line with muffin liners.In a small bowl, whisk together flour, baking powder, baking soda and salt. In another bowl, cream together sugar and butter until fluffy, about 5 minutes. Beat in peanut butter. Add in the eggs, one at a time. Then mix in mashed banana. Evenly distribute batter into the muffin cups. Top with sliced banana. Bake for 20 to 25 minutes, until a tester comes out clean.